During the first 6 months of 2014, I have spent a lot of time traveling and visiting some great Red Roof Inns all around the country. I have been to 13 states this year and visited a ton of cities I have never been to before like San Antonio and Boston. I thought I’d share with you some of the places I have been and maybe it will spark some wanderlust in you for summer travel! I have had a ton of fun this passed 6 months and will continue my travels by visiting the city of brotherly love, Philadelphia, at the end of the month. Check out some of my previous blogs to see more stories about my travels! 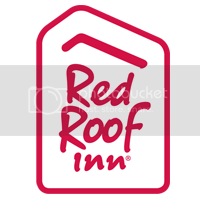 Take advantage of Red Roof Inns summer promotion Stay 2 Get 1! Check out some of the places I have been or make your own adventure!